Poland’s Supreme Court opened the way on Monday for a blasphemy verdict against a rock musician who tore up a Bible on stage, a case that has pitted deep Catholic traditions against a new desire for free expression. 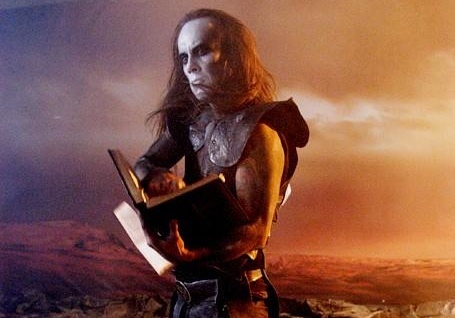 Adam Darski (Nergal), front man with a heavy metal group named Behemoth, ripped up a copy of the Christian holy book during a concert in 2007, called it deceitful and described the Roman Catholic church as “a criminal sect”. His supporters say it was an act of artistic expression, but conservatives say he offended the sensibilities of Catholics in Poland, the homeland of the late Pope John Paul II and one of the religion’s most devout heartlands in Europe. The Supreme Court was asked to rule on legal arguments thrown up by the musician’s trial in a lower court on charges of offending religious feelings. It said a crime was committed even if the accused, who uses the stage name Nergal, did not act with the “direct intention” of offending those feelings, a court spokeswoman said. That interpretation closed off an argument used by lawyers for Darski, who said he had not committed a crime because he did not intend to offend anyone. The lower court will now decide if he is guilty. The maximum sentence is two years in jail, under Poland’s criminal code. However, it is extremely rare for anyone convicted of this kind of crime in Poland to serve prison time. “(The decision) is negative and restricts the freedom of speech. The court decided that this is allowed in a democratic system,” Jacek Potulski, a lawyer for Darski, told Reuters. He said he was not giving up. “We are still arguing that we were dealing with art, which allows more critical and radical statements,” the lawyer said. Ryszard Nowak, a conservative former member of parliament who has for years been lobbying for the musician’s conviction, said he had been vindicated. “The Supreme Court said clearly that there are limits for artists which cannot be crossed, ” Nowak told Polish television. The Catholic church and its teachings have been at the heart of Polish life for generations, but changes in society are challenging the dominance of the faith. Opinion polls show that while 93 percent of Poles identify themselves as Catholics, the proportion who attend church or pray regularly is in decline, especially among young people. Large parts of Polish society have also started to drift away from some of the church’s teachings, especially its ban on contraception and its opposition to homosexual partnerships. “When it comes to bishops’ opinions on controversial social issues, I listen to them, but I don’t treat them as an absolute authority,” said Aleksandra Pulchny, a 22-year-old law student from Rybnik, in southern Poland. In one indication of the changes in society, the blasphemy trial does not appear to have harmed Darski’s show business standing. He is one of four judges on “The Voice of Poland,” a talent show broadcast on national public television.